Tang Class Submarine: Laid down, 24 February 1949, at the Electric Boat Co., Groton, CT.; Launched, 14 June 1951; Commissioned, USS Trigger (SS-564), 31 March 1952; Decommissioned, struck from the Naval Register, and transferred (sold) to Italy, under terms of the Security Assistance Program, 2 July 1973, renamed; INS Livo Piomarta (S-515); Final Disposition, decommissioned by the Italian navy, 28 February 1986, fate unknown. Specifications: Displacement, Surfaced: 2,100 t., Submerged: 2,700 t.; Length 287'; Beam 27' 3"; Draft 19'; Speed, Surfaced 20 kts, Submerged 18 kts; Complement 8 Officers 75 Enlisted; Armament, six 21" torpedo tubes forward & 2-19” torpedo tubes aft for Mk 37 torpedoes, eight MK-49/57 mines; Propulsion, diesel-electric, Fairbanks-Morse Type 3 diesel engines, HP 4500, two electric motors, HP 5600, 2 shafts/propellers. 54k Orange Striped Trigger fish (Balistapus undulatus). Photo courtesy of ukdivers.net. 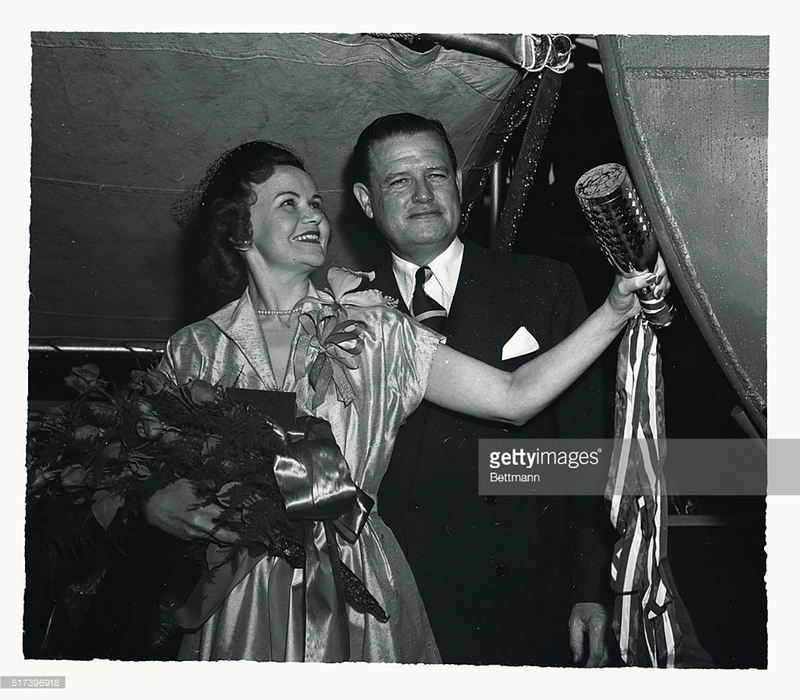 696k (Original Caption) Mrs. Roy S. Benson, sponsor of the new submarine, the Trigger (SS-564), prepares to launch the undersea craft with a bottle of champagne at the Electric Boat Company's Groton yard, June 14. Mrs. Benson is the wife of Captain Roy S. Benson, one of the former commanders of the first Trigger (SS-237), which was lost on patrol in the Pacific during March, 1945. Standing behind her is John Hopkins, President of the Electric Boat Company, which built the 1,600-ton sub. Photo by Bettmann via Getty Images courtesy of gettyimages.com. 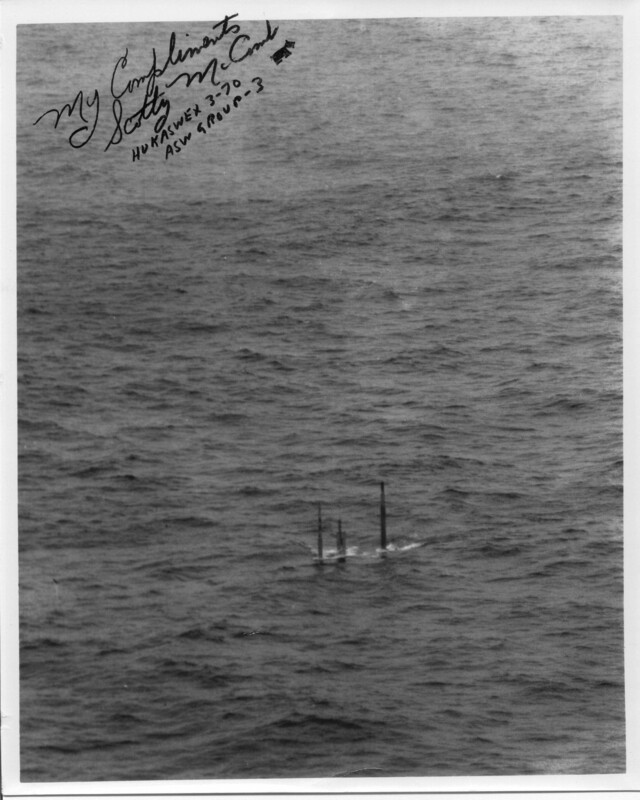 4.44k Four pictures PDF of the Christening bottle, provided by Electric Boat, that my mother Vida Connole Benson "smashed" on the bow of Trigger (SS-564). The champagne bottle was enclosed in an engraved chrome casing. The glass bottle "chards" are still in the casing. Photos courtesy of Rick Connole, son of Commander David R. Connole, K.I.A. while commanding the Trigger (SS-237), lost with the entire crew of 89 on 28 March 1945. 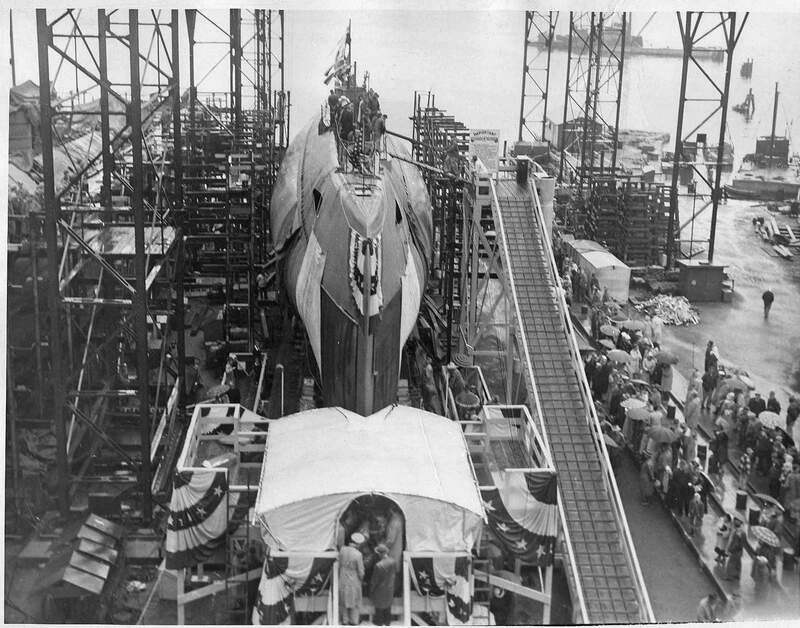 324k Water from above is soon to surround the Trigger (SS-564) from below as she is launched in the rain on 14 June 1951 at Electric Boat Co., Groton, CT. Photo courtesy of Dale Hargrave. 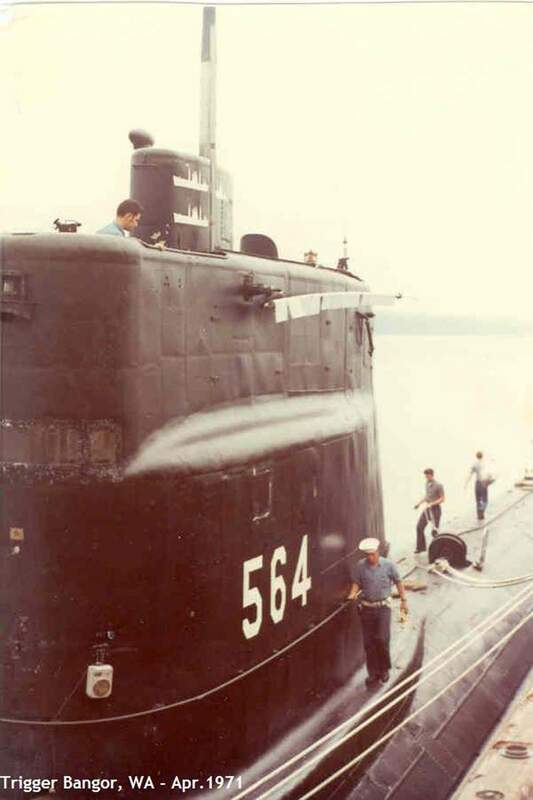 202k Trigger (SS-564) sliding down the ways. Photo courtesy of Dale Hargrave. 2.90k Two Page PDF article by Capt. Ned Beach of a New London, Conn. 1951 newspaper article entitled "The Story behind the story of submarine Trigger (SS-564). Courtesy of Rick Connole, son of Commander David R. Connole, K.I.A. while commanding the Trigger (SS-237), lost with the entire crew of 89 on 28 March 1945. 2.54k Nine Page PDF article by Capt. Ned Beach on the construction of the new Trigger (SS-564) and memories of the old Trigger (SS-237). Article appeared in the September 1951 edition of Argosy Magazine. Courtesy of Rick Connole, son of Commander David R. Connole, K.I.A. while commanding the Trigger (SS-237), lost with the entire crew of 89 on 28 March 1945. 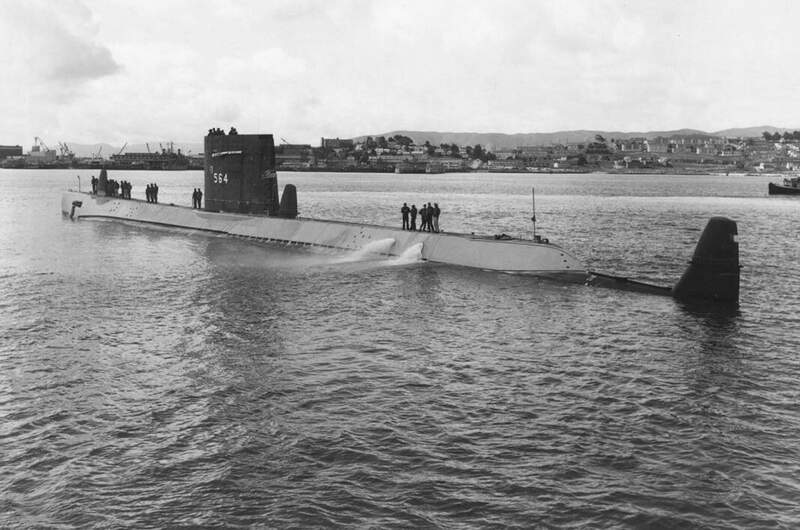 596k Welcome Aboard PDF for the Trigger (SS-564), 31 March 1952. Courtesy of Rick Connole, son of Commander David R. Connole, K.I.A. while commanding the Trigger (SS-237), lost with the entire crew of 89 on 28 March 1945. 1.00k PDF article about Trigger (SS-564), construction & launching. Courtesy of Rick Connole, son of Commander David R. Connole, K.I.A. while commanding the Trigger (SS-237), lost with the entire crew of 89 on 28 March 1945. 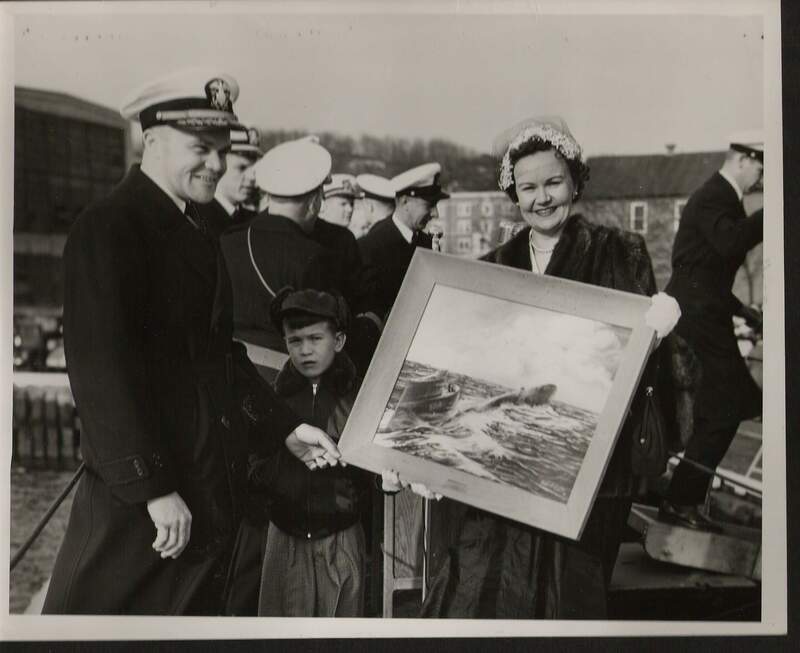 210k Commissioning portrait for Trigger (SS-564), presented by sponsor Vida Connole Benson to Cdr Ned Beach, with Vida's son Rick Connole, 31 March 1952, depicting new Trigger surfacing and the former Trigger (SS-237) in the heavens. Courtesy of Rick Connole, son of Commander David R. Connole, K.I.A. while commanding the Trigger (SS-237), lost with the entire crew of 89 on 28 March 1945. 664k Three photo montage of Captain Roy Benson with Cdr Ned Beach & the two Trigger's (SS-564) & Trigger (SS-237). Though separated by 10 years of age, Roy Benson and Ned Beach were close associates throughout their Navy careers and lives. After USNA graduation in 1929, Roy served on destroyers in the Philippines and China, on submarines and on staff assignments. In 1938, he became an instructor at USNA and taught Ned Beach navigation. Ned graduated USNA in 1939. Roy became XO on Nautilus (SS-168) (during the battle of Midway) and then became CO of Trigger (SS-237). Ned served on (SS-237) as Roy's JO and Engineer. After the war, Roy and Ned had joint submarine shore duty assignments. In 1951, Ned became the first CO of the second Trigger (SS-564), which was christened by Roy's wife, Vida Connole Benson. Roy advanced to become COMSUBPAC. 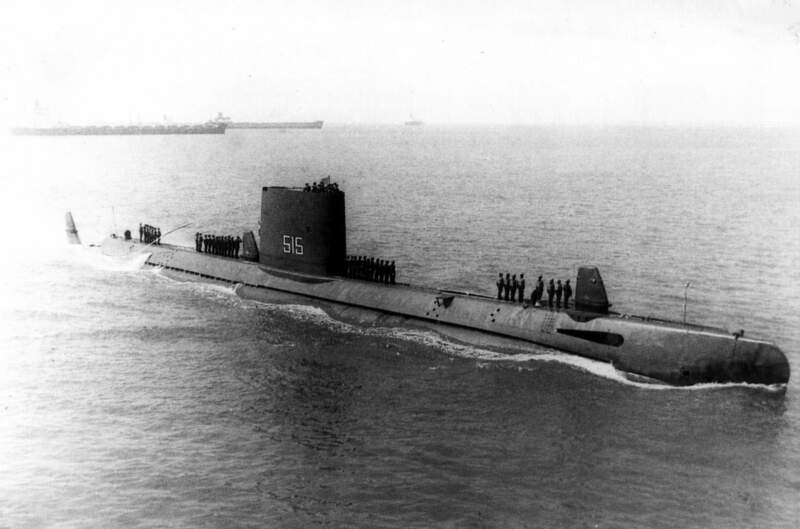 Ned became CO of Triton (SS-586). As Triton rounded Cape Horn entering the Pacific on Triton's circumnavigation cruise in 1960, Ned sent a message to Roy: “Good to be back under your command again”. Roy and Vida Benson and Ned and Ingrid Beach were close social friends. The relationship was enhanced by the fact that Roy and Ingrid both spoke Swedish (their first languages as children). Ned gave one of the eulogies to Roy at the USNA Chapel in 1995. As they were close in life, they are close in death as both buried in the USNA cemetery near each other. Ned reached out to me many times….he was most generous and a special person. Enclosed is a letter describing a 1956 meeting in the White House where both Roy and Ned are Captains. Photo & PDF courtesy of Rick Connole, son of Commander David R. Connole, K.I.A. while commanding the Trigger (SS-237), lost with the entire crew of 89 on 28 March 1945. 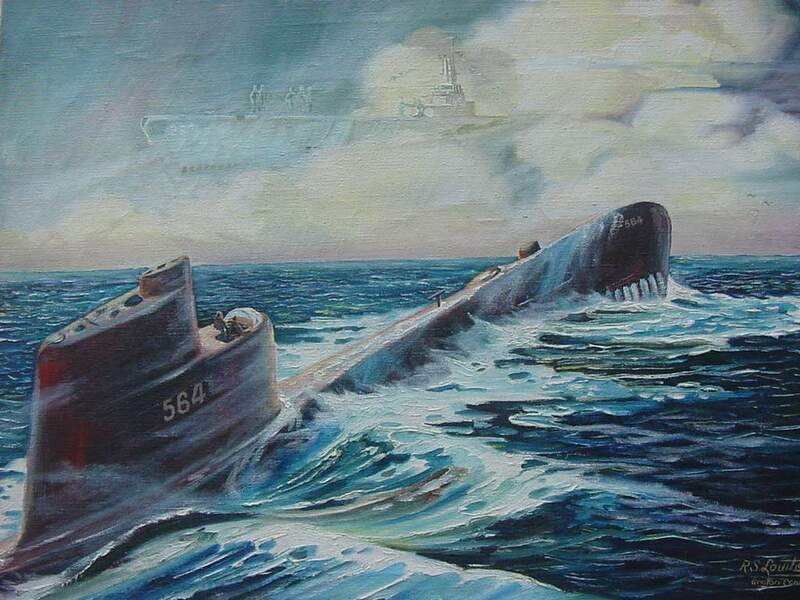 120k Oil painting of the Trigger (SS-564) depicting new Trigger surfacing and the former Trigger (SS-237) in the heavens. Courtesy of Rick Connole, son of Commander David R. Connole, K.I.A. while commanding the Trigger (SS-237), lost with the entire crew of 89 on 28 March 1945. 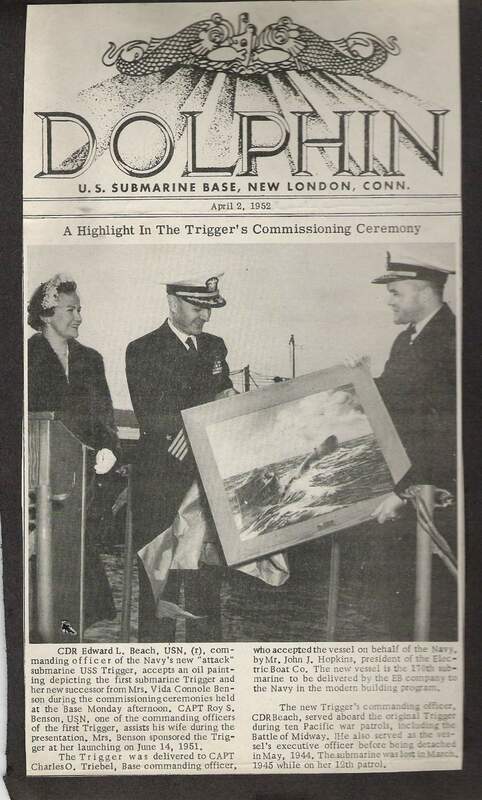 231k 2 April 1952 front cover of the newspaper Dolphin with the commissioning portrait for Trigger (SS-564), being presented by sponsor Vida Connole Benson to Cdr Ned Beach, with Vida's husband Captain Roy Benson and son Rick Connole, 1952. Courtesy of Rick Connole, son of Commander David R. Connole, K.I.A. while commanding the Trigger (SS-237), lost with the entire crew of 89 on 28 March 1945. 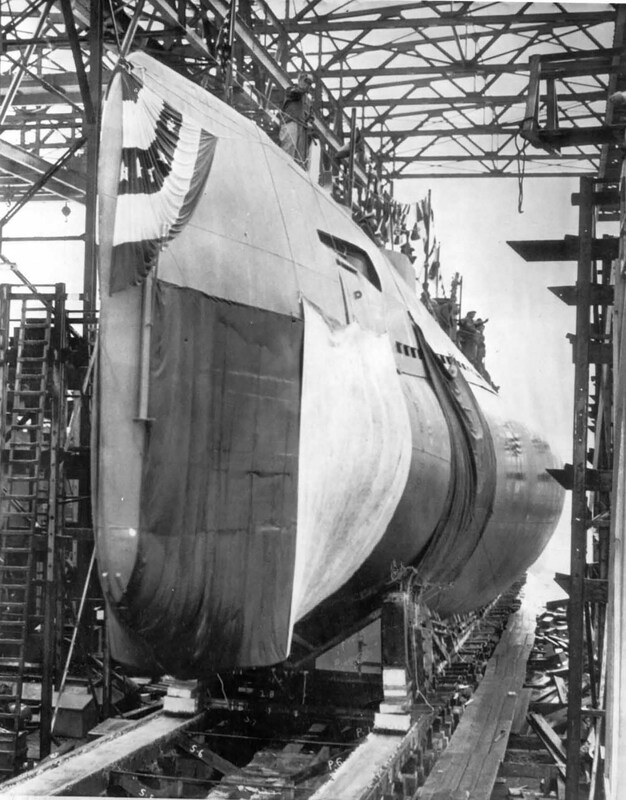 425k Trigger (SS-564) is seen here on 5 April 1952. USN photo # 80-G-440887, from National Archives and Records Administration (NARA), College Park, Maryland, courtesy of Sean Hert. 71k CDR. James F. Calvert was the commanding officer of the Trigger (SS-564) from 1952 to 1954. USN photo courtesy of Bill Gonyo. 331k Marmaduke Gresham Bayne was born on 2 May 1920 in Norfolk, Virginia. He attended the University of Tennessee at Knoxville from which he received a Bachelor of Arts degree in 1942. He was commissioned Ensign in the U.S. Naval Reserve on 16 June 1942 and subsequently advanced to the rank of Vice Admiral, to date from 1 February 1973, having transferred to the Regular Navy on 30 July 1945. After receiving his commission in 1942, he attended the Naval Training School, Dartmouth College, Hanover, New Hampshire, for indoctrination training. In November 1942, he became Officer in Charge of YP-61. He had submarine training at the Submarine School, New London, Connecticut, and in April 1944 joined the Becuna (SS-319), making three war patrols in the Pacific on that submarine. In March 1945, he was assigned to Submarine Division 261 for duty with a Refit Crew and in June 1945 became Engineering Officer of the Bergall (SS-320). 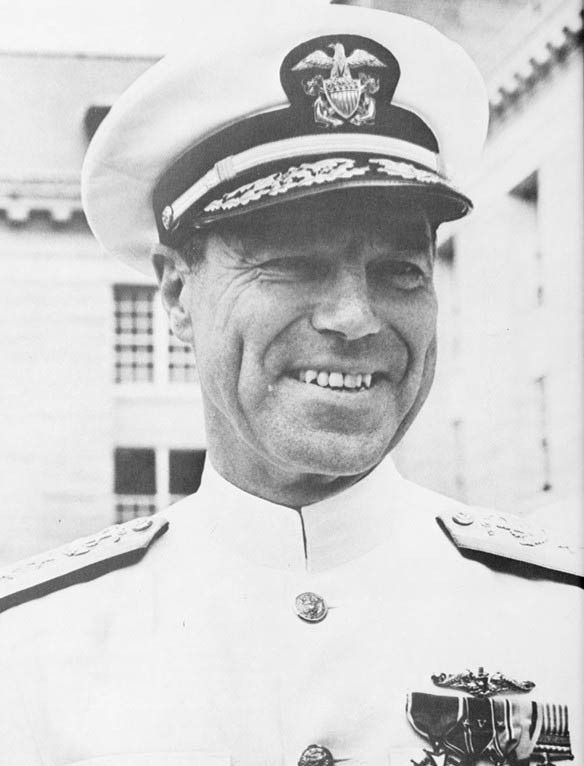 He had instruction at the General Line School, Newport, Rhode Island, from July 1946 to June 1947, then became Executive Officer of the Toro (SS-422). 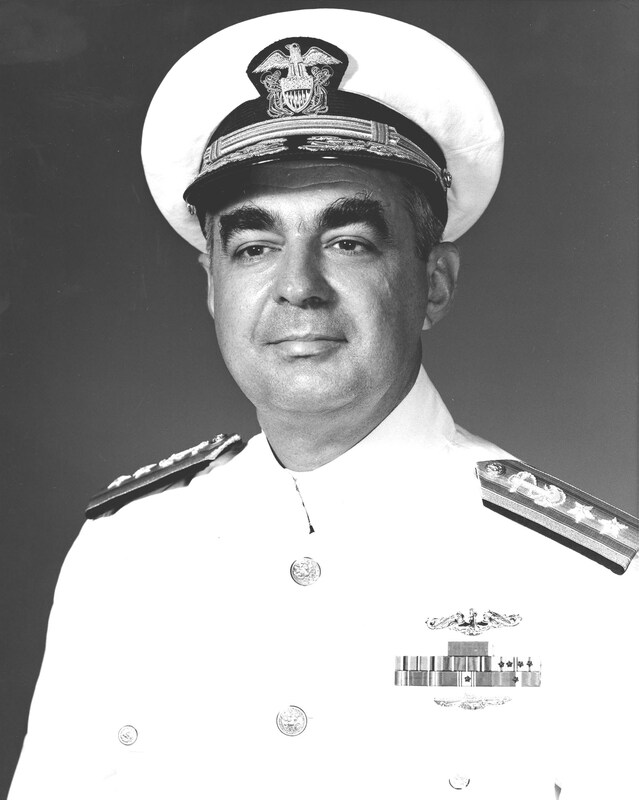 Between August 1949 and March 1951, he was Officer in Charge at Training Aids Section, at the Fifth Naval District Headquarters, Norfolk, Virginia, after which he had duty on the Sea Leopard (SS-483) as Executive Officer. In May 1954 he assumed command of the Piper (SS-409). He had command of the Trigger (SS-564) from April 1955 to January 1957, then had instruction at the Armed Forces Staff College, Norfolk, Virginia, for the next seven months. Text from the Naval Historical Foundation via Bill Gonyo. Photo courtesy of Bill Gonyo. 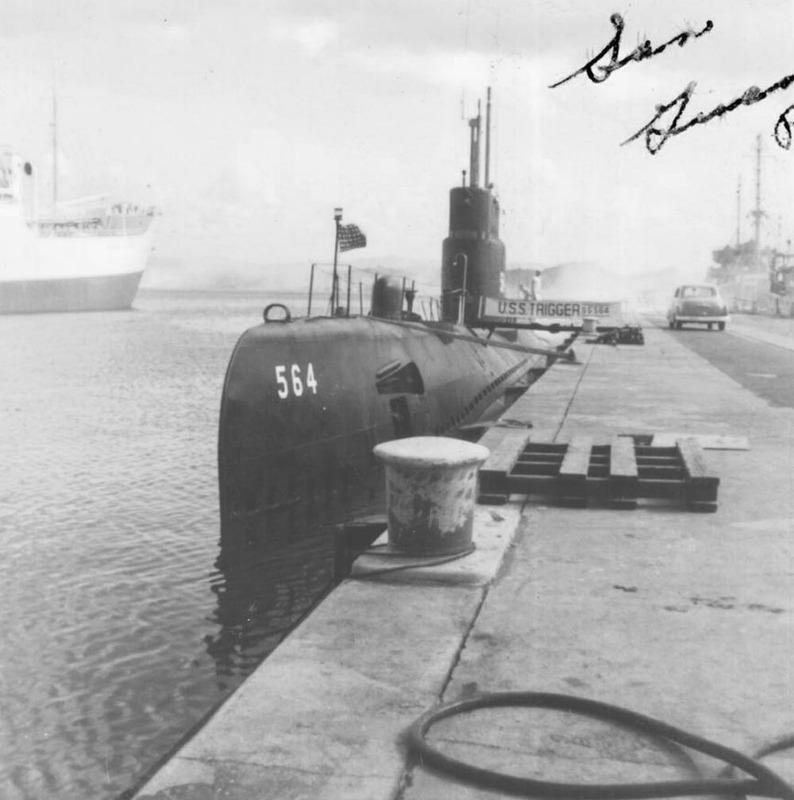 103k Trigger (SS-564) in San Juan Puerto Rico. Photo taken by Jack Quigley (Sonar man - SO) somewhere between 1956-59. Photo courtesy of Robert Hurst. 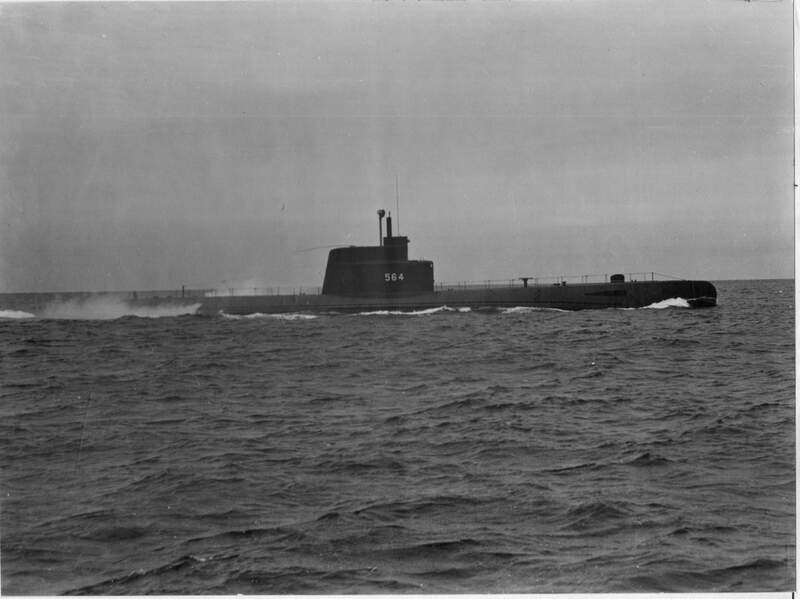 44k Between 17 August & 15 September 1957, the Trigger (SS-564) joined Nautilus (SSN-571) and proceeded to the Arctic. She spent 10 days at the ice pack in the north Greenland Sea and made several short trips under the ice pack. USN photo courtesy of Arctic Submarine Laboratory. 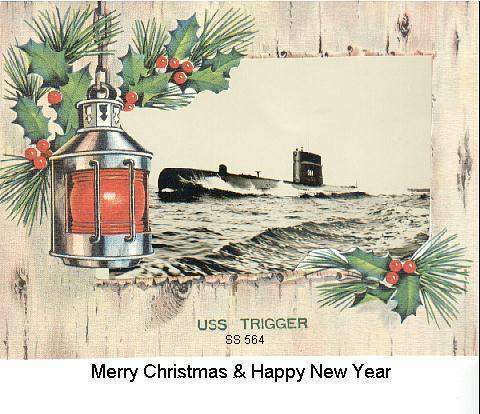 44k Trigger (SS-564) photo Xmas card, circa 1961-64. Photo courtesy of James Cooley. 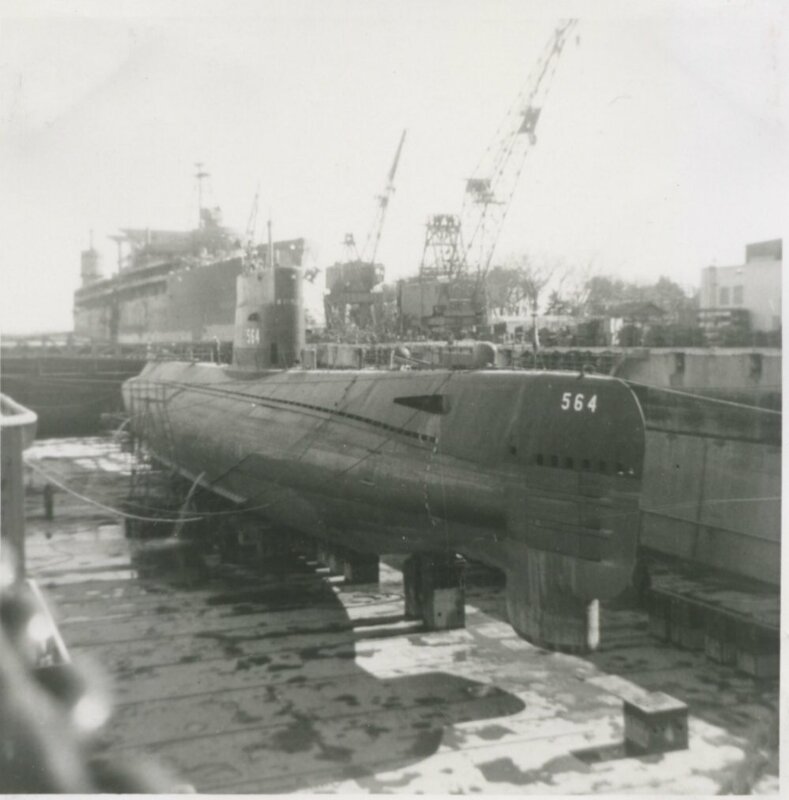 90k Trigger (SS-564) in drydock, 1961. 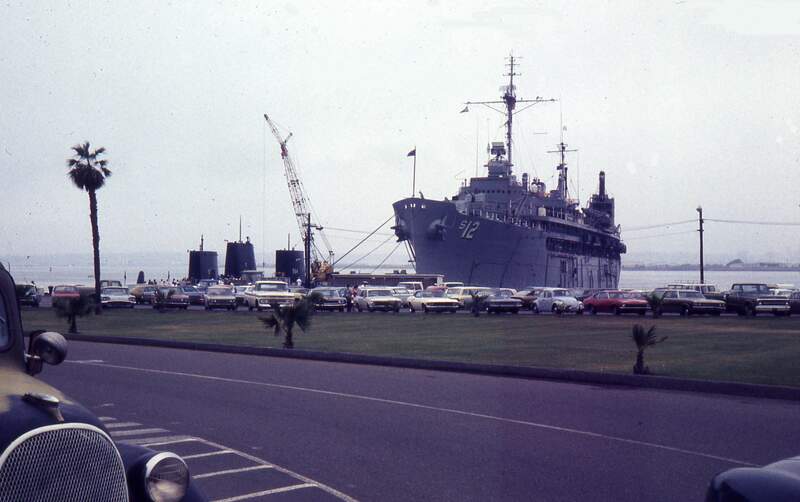 Photo courtesy of Francis Koslouski, an EN who served aboard Trigger from 1959-62, courtesy of James Cooley. 1.10k Trigger (SS-564) at Genoa, Italy on 13 May 1962. Photo courtesy of Carlo Martinelli. 39k 22 June 1962 photo of the Trigger (SS-564) coming into the harbor at Naples, Italy. We came in on our elec motors with the diesel engines shutdown. The Captain wanted to make any spies think we were a nuke boat. Text & photo courtesy of James Cooley. 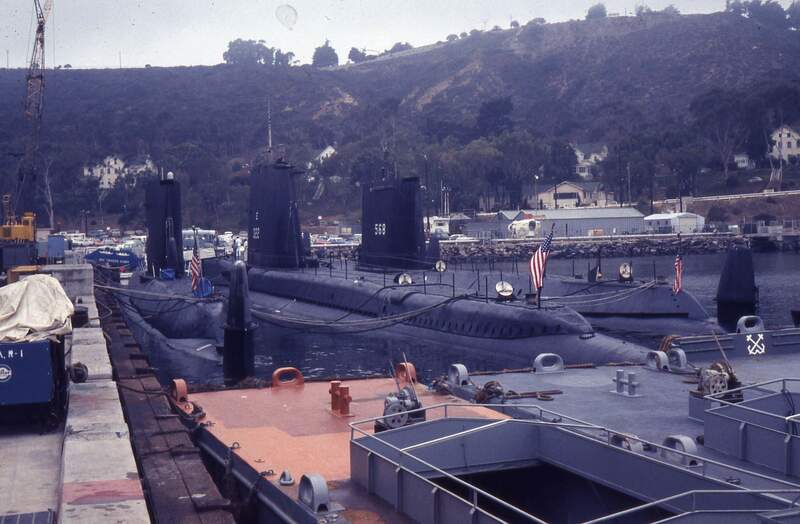 268k Thornback (SS-418) & Trigger (SS-564) share a pier side time in October 1962. Photo courtesy of John Hummel, USN (Retired). 90k This photo was one that was given to crew-members to put in a Trigger (SS-564) photo Xmas card, circa 1961-64. Photo courtesy of James Cooley. 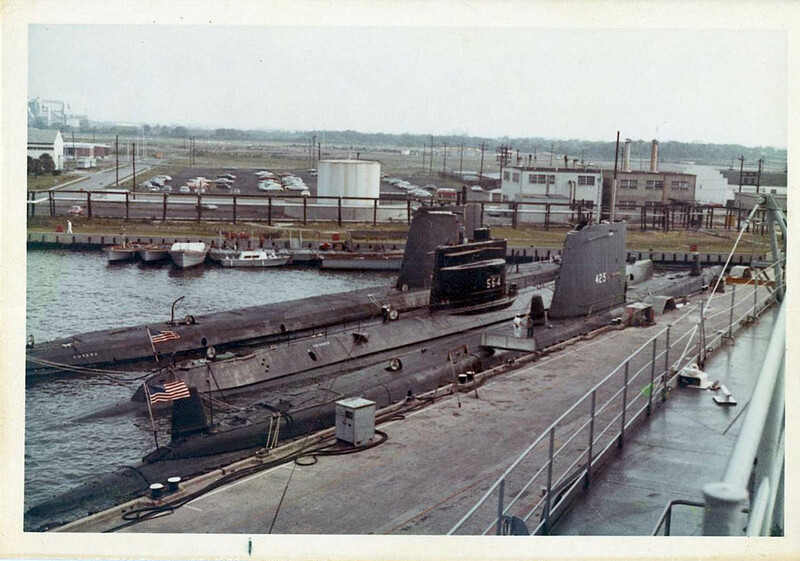 184k 1960's meets the Cubera (SS-347), Trigger (SS-564) & Trumpetfish (SS-425) in Charleston, S.C. Photo by Richard Nilsson and submitted courtesy of John Hummel, USN (Retired). Grenadier received her high sail in an overhaul in 1961-62. I found a picture of Blenny that showed her with a high sail that was dated 18 Apr 1966. All of the boats in the photo were known to have been based in, or operating out of, Key West in the period of 1962-1966. Therefore, I can reliably conclude that this photo was taken between 1962 and 1966. 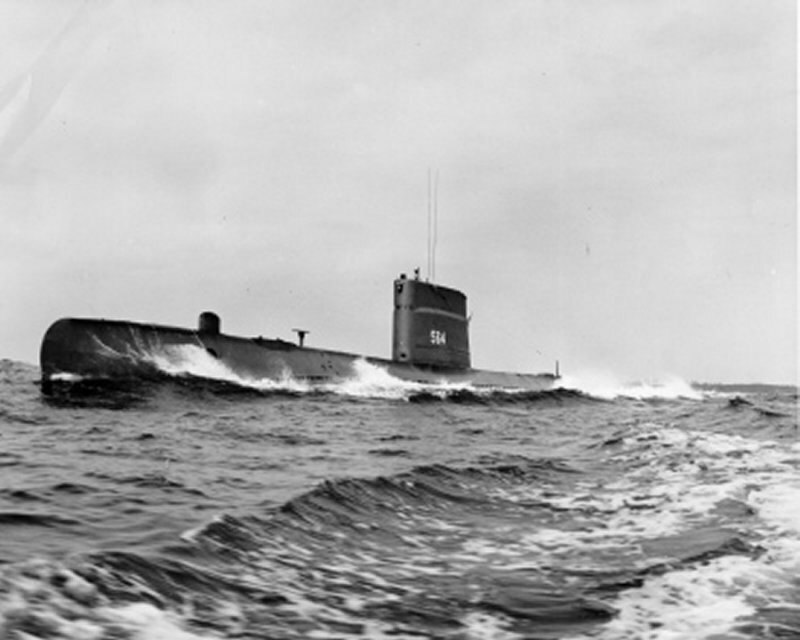 222k The Tangs (SS-563/68) were the first U.S. post war designed attack submarines. 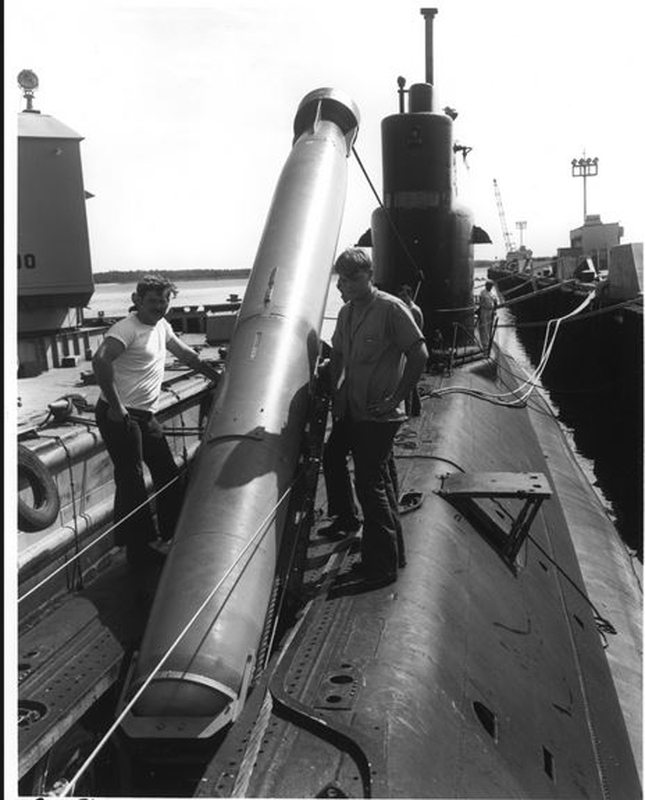 Trigger (SS-564) is shown here in May 1967, with a somewhat modified sail but without PUFFS. Only Wahoo (SS-565), Gudgeon (SS-567), & Harder (SS-568) were refitted with PUFFS passive ranging sonar (as was the very similar Darter (SS-576).) Photo & text courtesy of U.S. Submarines Since 1945, An Illustrated Design History by Norman Friedman & James L. Christley. Naval Institute Press. 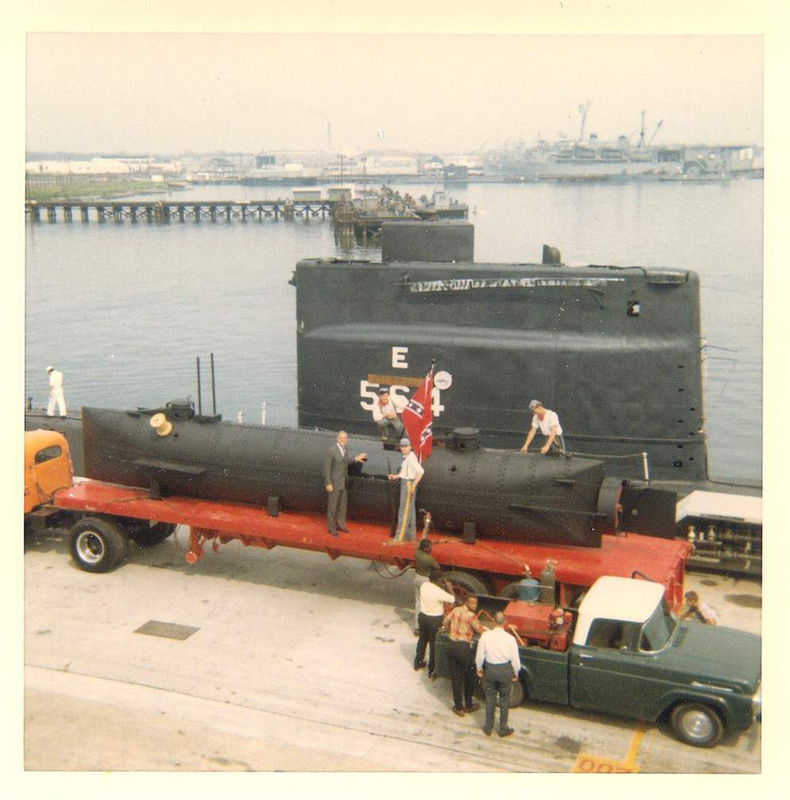 90k Trigger (SS-564) behind a replica of the Civil War Confederate Navy submarine Hunley at Pier November in Charleston, SC in 1968. 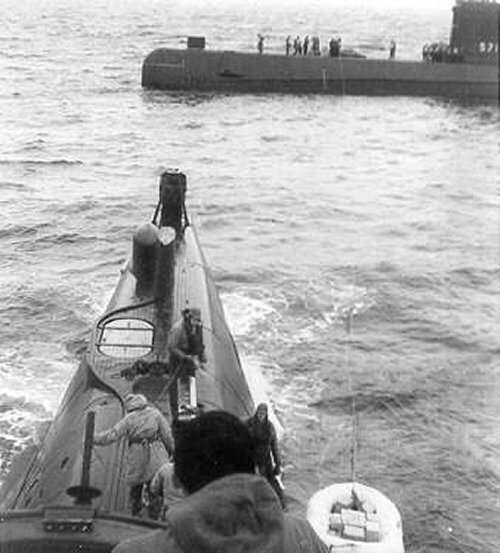 Taken from the bridge of the Chivo (SS-341). In the distance at pier Lima there appears to be other subs and the Ozark (MCS-2). Photo i.d. courtesy of Robert Crawford. Photo courtesy of Mike Cappucci. 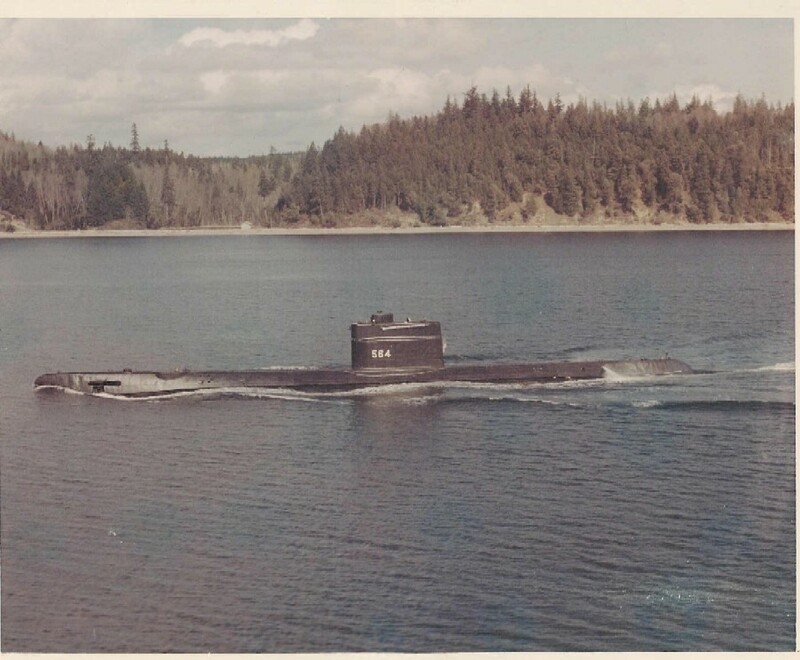 142k Trigger (SS-564) circa 1971 up around the Puget Sound area of Northern Washington State or Southern Vancouver Island during the Mark 48 Torpedo test and evaluation trials. Photo courtesy of TM R. J. Hansen (Retired LCDR) provided by atule.com. 748k View of Trigger's (SS-564) periscopes on the attack of one of the targets at Nanaimo, BC taken by pilot of observation plane/helicopter. USN photo courtesy of RM3(SS) Tom Boyer, 1971-1973 via Rick Connole, son of Commander David R. Connole, K.I.A. while commanding the Trigger (SS-237), lost with the entire crew of 89 on 28 March 1945. 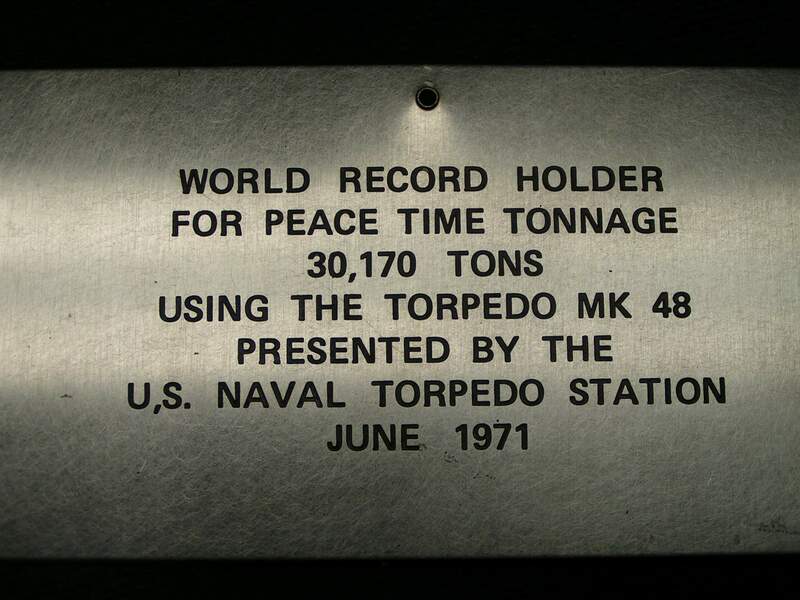 1.05k Following yard work at the Hunter's Point Naval Shipyard from July 1971 to April 1972, she made a voyage to the Nanoose Bay Acoustic Test Range and returned to San Diego on 25 May. 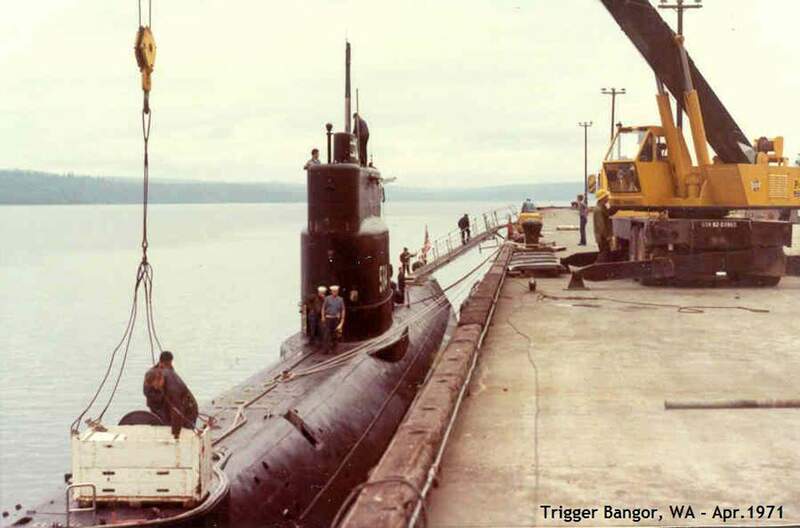 Trigger (SS-564) is seen here on 2 April 1972. Text courtesy of DANFS. Photo # NPC 1151533 courtesy of Scott Koen & ussnewyork.com. 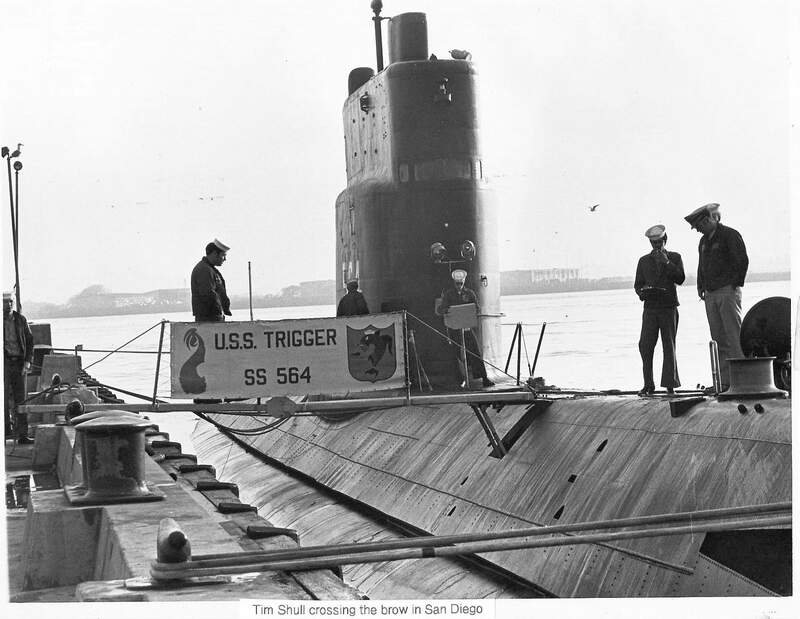 340k Trigger (SS-564) in an undated photo at San Diego. USN photo courtesy of Rick Connole, son of Commander David R. Connole, K.I.A. while commanding the Trigger (SS-237), lost with the entire crew of 89 on 28 March 1945. 748k Two nice views of Trigger (SS-564). Photo courtesy of Scott Koen & ussnewyork.com. 196k The Trigger (SS-564) expends the Whitehurst (DE-634) as a target on 28 April 1971. USN photo by RM3(SS) Tom Boyer, 1971-1973, courtesy of Scott Koen & ussnewyork.com. 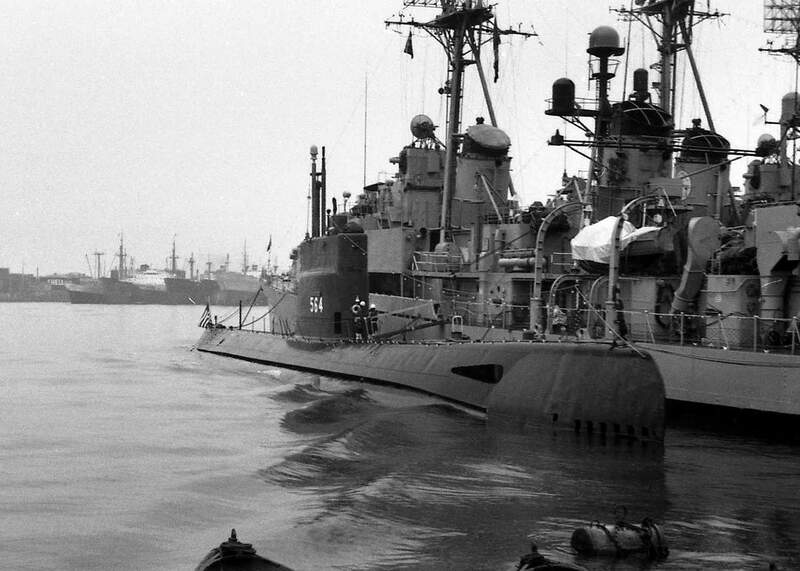 56k Three ships align the Trigger's (SS-564) sail in this 1971 photo at NSB Bangor, WA. I believe the guy on the bridge is Henry Petrino. The three target ships were sunk with the first live "War Shots" when testing the "new" Mark 48 Torpedo while under development in April/May 1971 by the Westinghouse Corp. and the Clevite Corp.
Each was building a version of the Mark 48 and these were the final tests to prove that they worked. Each ship was sunk with a different version of the torpedo, two Westinghouse and one Clevite. The Westinghouse were the Mark 48 Mod 0 and Mod 2. The Clivite fish was Mark 48 Mod 1. Clevite won the contract. The current Mark 48 in the fleet is called the Mark 48 AdCap (Advance Capabilities) and was being built by Hughes Corp. Text courtesy of TM R. J. Hansen, (Retired LCDR). Photo courtesy of Bob Heintz via Rick Connole, son of Commander David R. Connole, K.I.A. while commanding the Trigger (SS-237), lost with the entire crew of 89 on 28 March 1945. 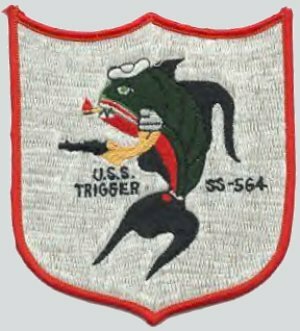 272k Story from American Submariner 2016 regarding Trigger's (SS-564) trigger finger. Courtesy of Rick Connole, son of Commander David R. Connole, K.I.A. while commanding the Trigger (SS-237), lost with the entire crew of 89 on 28 March 1945. 312k The plaque says it all. Photo courtesy of Bob Heintz via son of Commander David R. Connole, K.I.A. while commanding the Trigger (SS-237), lost with the entire crew of 89 on 28 March 1945. 59k Photo taken at the Bangor Naval station weapons pier prior to our departure for San Diego after the war shot trials. My recollections of the 48 trials are underway early from the Nanaimo commercial pier, stop at the Canadian Army/Navy Weapons station, load the days test torpedo's, out into the straights and sit all day, maybe shoot maybe not,back to the pier at night. If you didn't have the duty, drink some beer in town or at the Canadian Army barracks and start all over the next day. The high points were the upkeep at the Whidbey Island Naval Air Station, our days at the Canadian Naval Station in Victoria B.C., the bath tub races and the culmination of all the work, the three war shots. As I remember the sub we were to shoot sank in the Juan de Fuca Strait while being towed out to the target area. Photo courtesy of Bob Heintz via son of Commander David R. Connole, K.I.A. while commanding the Trigger (SS-237), lost with the entire crew of 89 on 28 March 1945. 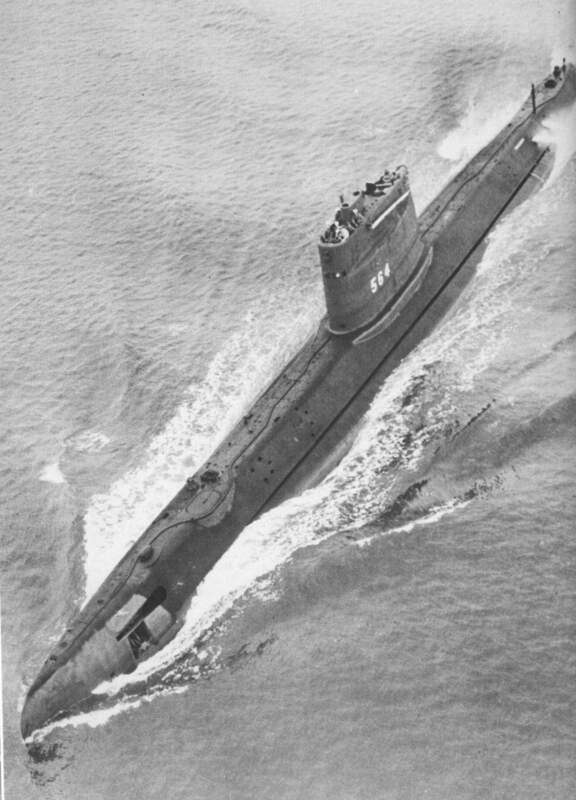 3.03k 1972 copy of Tang (SS-563) class "Booklet of General Plans". Photos courtesy of Tracy White @ Researcher @ Large. 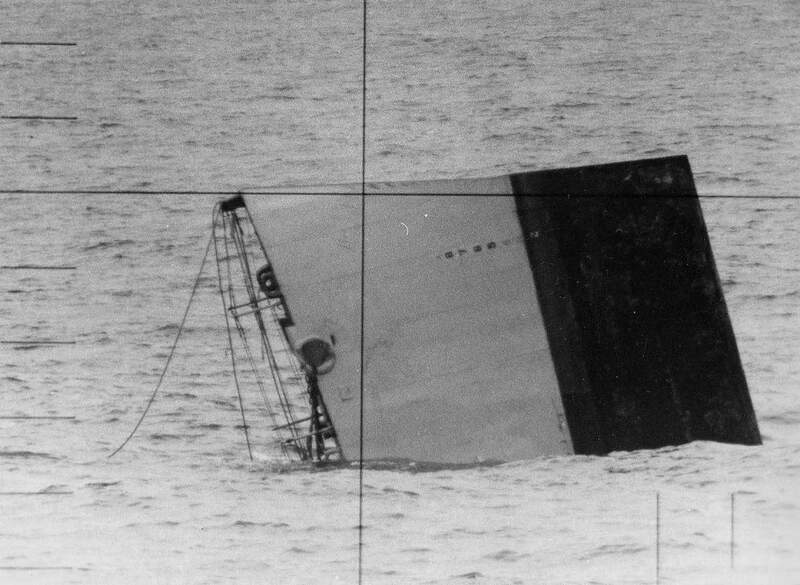 Blackfin's time clock was ticking, 45 days the boat would be decommissioned and struck from the Naval Register on 15 September 1972. Photo courtesy of Sait Kucuk, CPOS (Retired),Turkish Navy. Harder (SS-568). Photo courtesy of Sait Kucuk, CPOS (Retired),Turkish Navy. 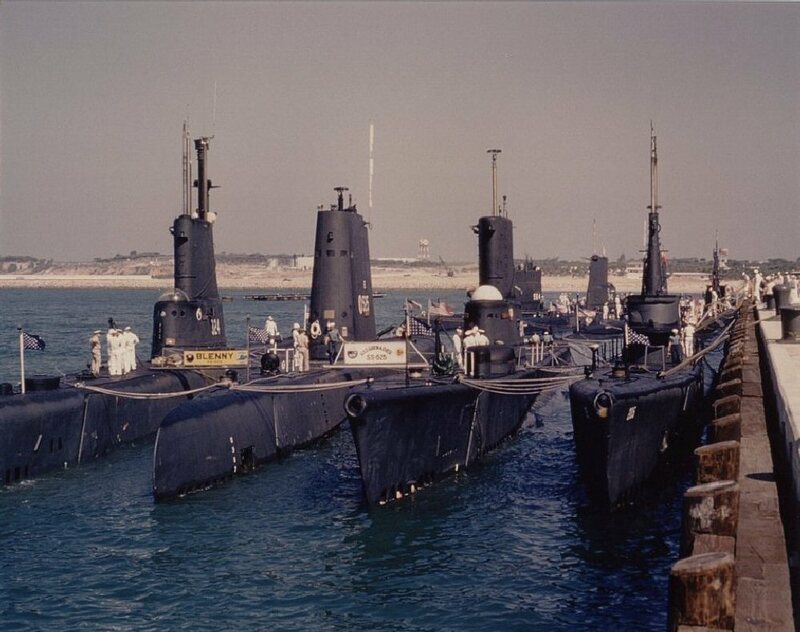 166k The ex-Trigger (SS-564) as the Livio Piomarta (S-515) at Taranto, 1979. Itialian Navy photo by Lt.Cdr. Erminio Bagnasco via Maurizio Brescia.